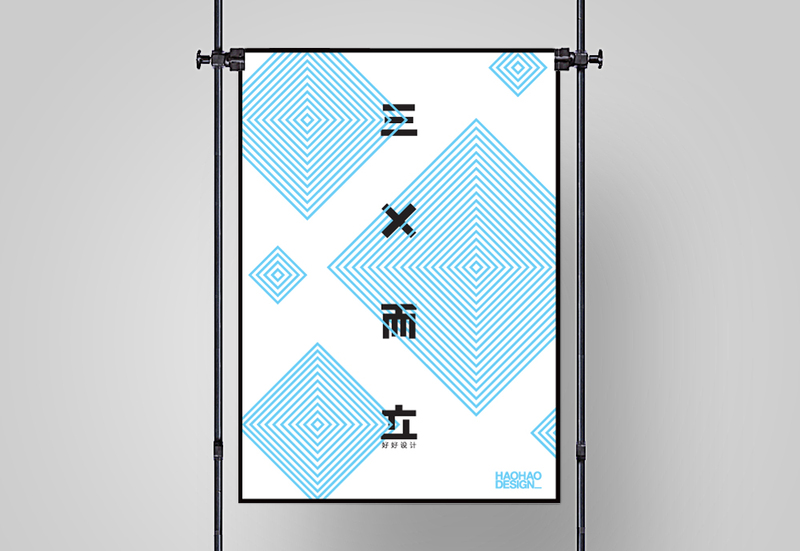 This poster design is dedicated to a chinese old saying: ÈýÊ®¶øÁ¢ which means in translation: A man should be independent [steadfast] at the age of thirty. Project Early, At thirty, a man should be able to think for himself. ÈýÊ® is number 30. Èý is chinese numbering character three '3'. Ê® is number 10, however rotated in 45 degree into "X" shape that also is old Roman numerals symbol '10', which in a way implies a harmony between western and eastern culture. Square repeats in different size in 45 degree also represents the word ¶øÁ¢ meaning 'standing', being independent.